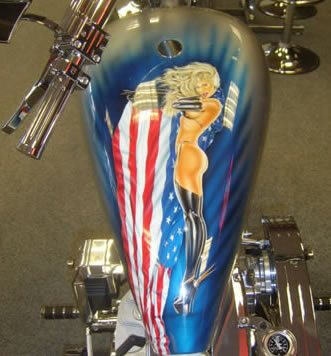 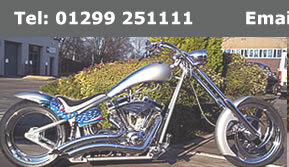 A wide range of parts and accessories available from Custom Chrome, Drag Specialities, Zodiac, Kuryakin, Vance and Hines, Progressive Suspension, Performance Machine, S&S and Genuine Harley Davidson. 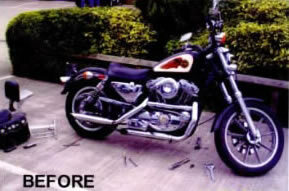 From a bolt to a complete custom bike. 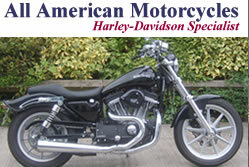 For more advice or to book your Harley Davidson in, call 01299 251111 and ask for Tony or Sally. 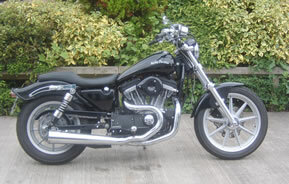 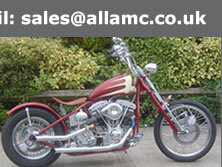 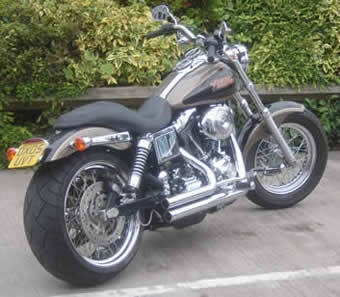 Below is a 1988 sportster which has been customised by sally (tony's wife) with tony's expert guidance.